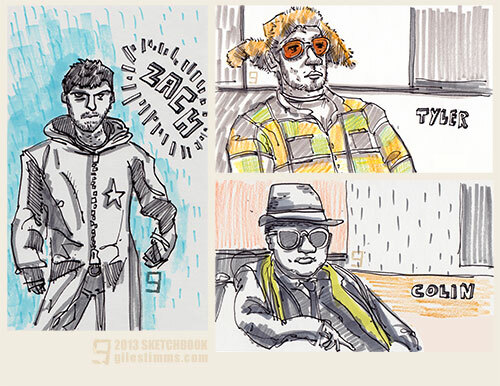 ‘The Dudes,’ sketchbook life drawing. 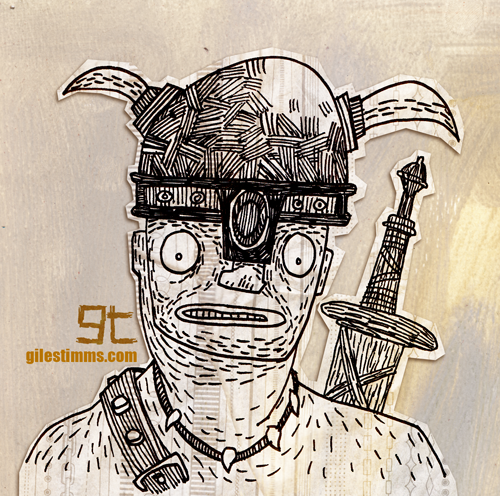 Pen and ink, colored pencil, felt-tip and Photoshop. 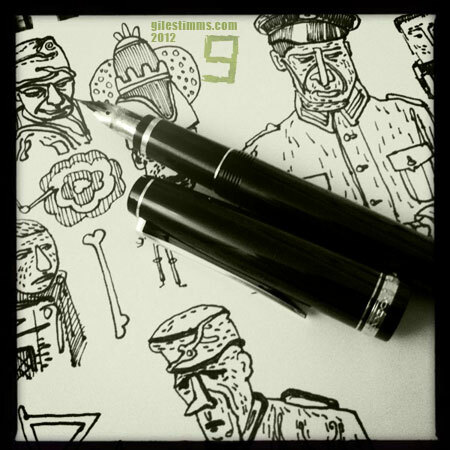 World War II soldiers drawn in my sketchbook with my new Namiki Falcon drawing pen (fine nib). 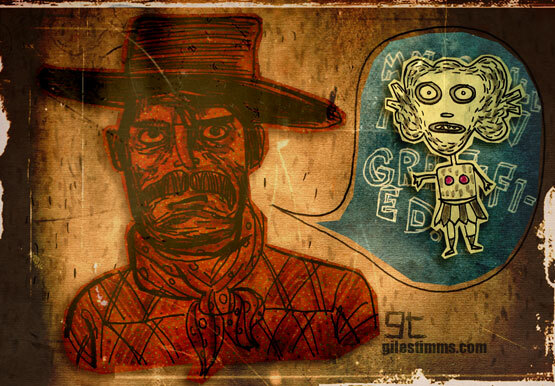 Sketchbook drawings (pen and ink) colored, textured and composited in Photoshop. Barbarian from my sketchbook. Hand drawn in pen and ink and colored in Photoshop. 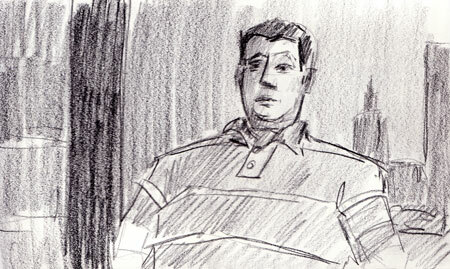 Another set of sketches from our road trip and camping trip to northern California. 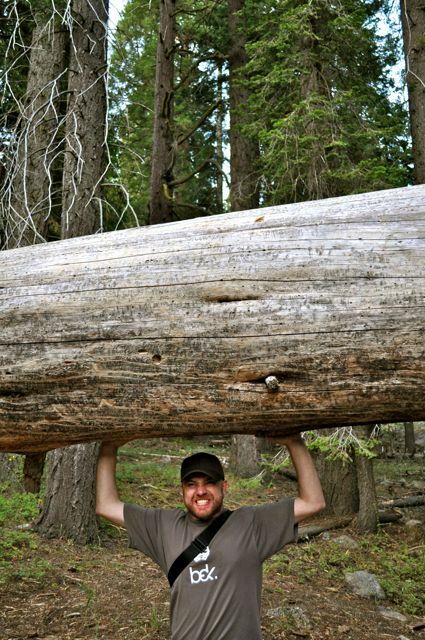 For part of our trip we camped at Lodgepole, Sequoia National Park. 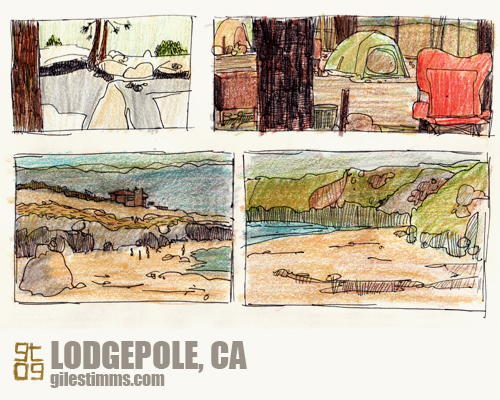 Above are some sketches of Lodgepole, Sequoia National Park. 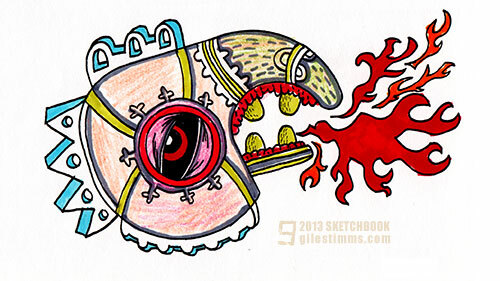 Colored pencil and pen and ink on paper. 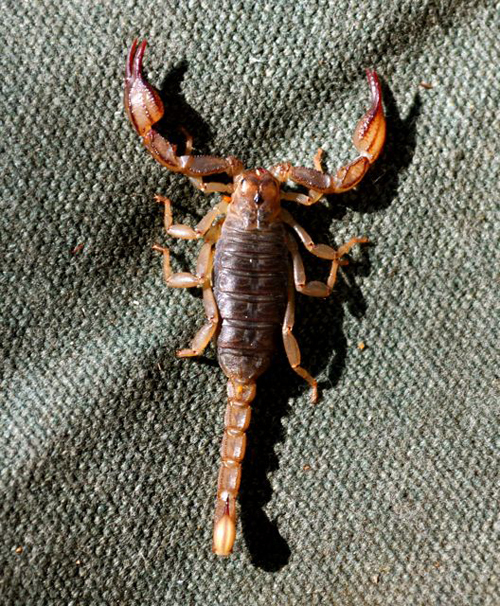 Last summer we went on a great road trip and camping trip to one of my favorite northern California places, Big Sur. 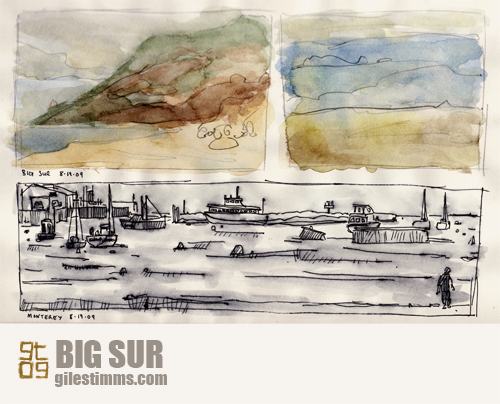 Here are some sketches of Big Sur and Monterey from that trip. Watercolor and pen and ink on paper. 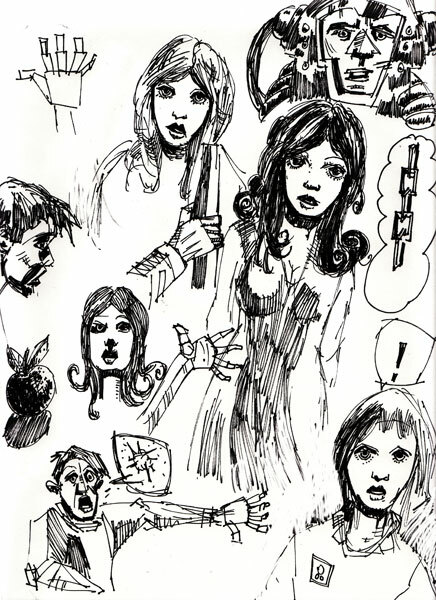 Sketchbook drawings from this weekend. 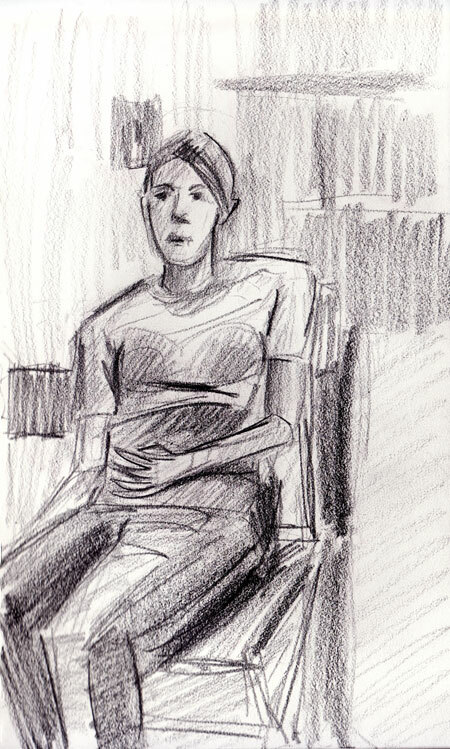 Pencil on paper. 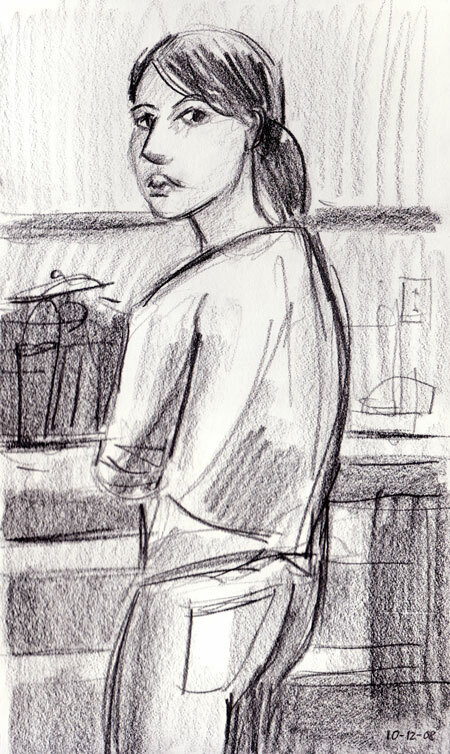 Our apartment overlooks an alley, so there’s often things and people to draw from. 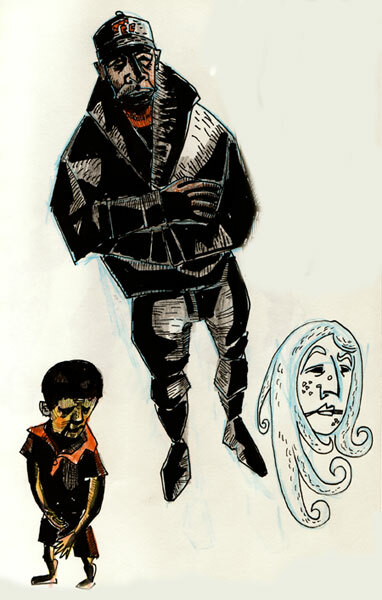 Sketchbook, pen and ink and colored pencil.